Hillary Clinton is now supporting a federal investigation of ExxonMobil following the latest disclosures that the giant oil company worked to hide the effects of climate change. Her call for an investigation comes only months after the company decided to stop sponsoring her family’s foundation. Clinton’s new call for a Justice Department investigation into ExxonMobil follows a similar call made by her Democratic presidential rivals Martin O’Malley and Bernie Sanders. She declared in New Hampshire Thursday that a probe was now justified because “there’s a lot of evidence that they misled” the public on the effects of climate change. There has long been ample evidence of ExxonMobil's role in promoting "skeptics" who challenge widely accepted climate science. A 2013 Drexel University study noted that the company was “heavily involved” in financing the “climate change counter-movement.” Journalist Steve Coll documented the extent of its efforts, saying “multimillions of dollars were spent on this,” and environmental groups estimate that ExxonMobil spent between $16 million and $30 million on such efforts. Though ExxonMobil has stopped sponsoring the Clinton Foundation, ties between the company and the Clintons remain. 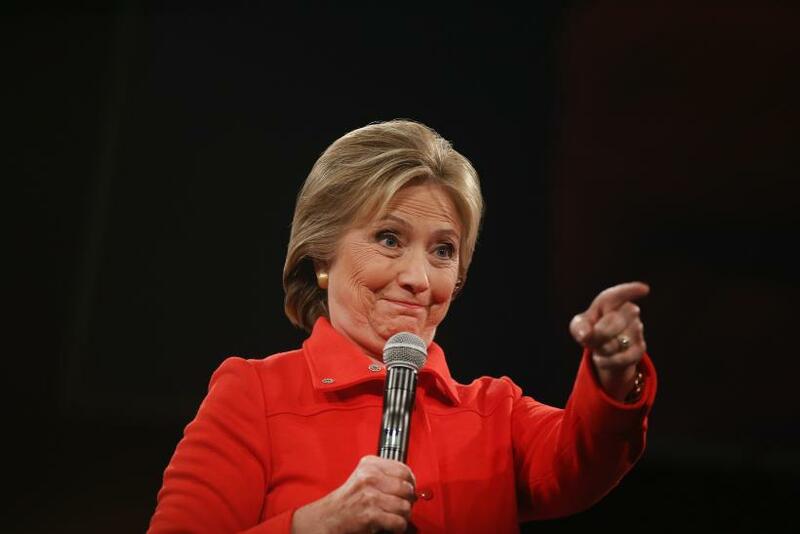 Clinton’s campaign listed an ExxonMobil lobbyist as one of its top fundraisers, and the company’s employees have donated $8,900 to her 2016 campaign, according to Federal Election Commission records. Tony Podesta, the brother of Clinton’s campaign chair, has lobbied for Golden Pass Products LLC, a company part-owned by ExxonMobil. Podesta has raised $130,000 for her campaign. The Clinton Foundation featured two ExxonMobil board members at its conference this year. The foundation has also accepted donations from other major oil firms that have a financial interest in fighting climate change legislation. Data compiled by the Center for Responsive Politics shows that her presidential campaign has accepted more than $159,000 from donors in the oil and gas industry, making her one of the top five recipients of the industry’s campaign money.